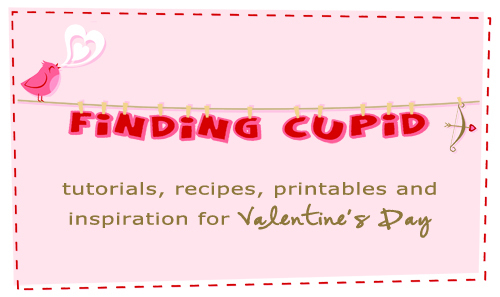 I love Valentine’s Day, and this year we’ll be Finding Cupid through crafts, treats, printables and more, with plenty of opportunities for other bloggers to share the things they’re doing in daily link parties. And be sure to download the free Finding Cupid ebook! This fun printable is a great gift for the one you love. 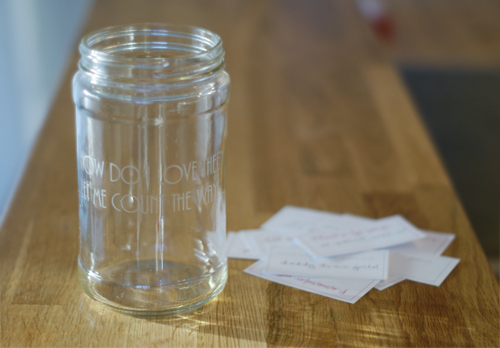 You could really use most (if not all) of the prompts for anyone you love — your husband, your children or even a friend — and customize the messages based on who you’re giving it too. The set comes with ten prompts in three different colors (for a total of 30 cards), although you could definitely print more or less as needed. YFill out all of the cards ahead of time or even just keep them on hand to write a little love note from time to time to hide in a pocket, lunch box or briefcase. I then etched “How do I love thee? Let me count the ways.” on the outside of a wide-mouth peanut butter jar. 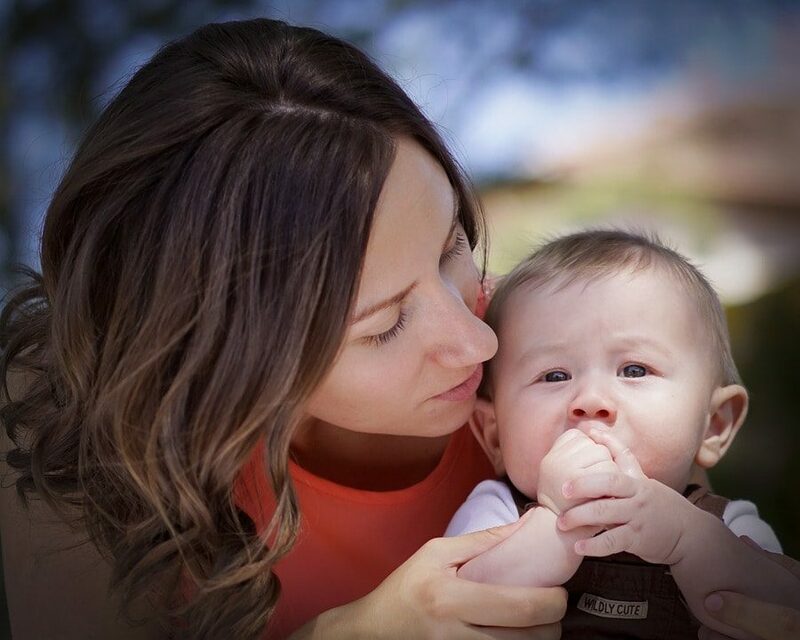 Cute, right? Glass etching is definitely my favorite project to do with the Silhouette machine! And here’s the final gift all put together! I can’t wait to write messages on all of the cards and give this to my husband. 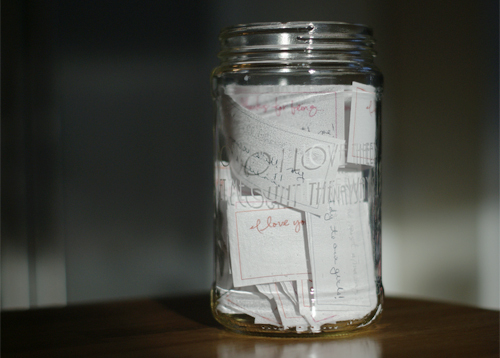 Click here to download or print the I love you jar cards. Visit Saving and Giving, where Jennifer is sharing a set of fun color-me Valentine’s Day cards for kids! Share your projects below. If you’re a blogger, click the blue Add your link button to add your post to Inlinkz. If you’re not a blogger, we’d still love to have you play: share the description of your project in a comment below and click the +Image link to upload a picture!